The Taoist out of body exercise is self-explanatory. Same as with the western magic, the Taoist also has his/her own way of going out of body. The Taoist calls this the 'soul exits' (出神). Of course, there are many different ways on how one's soul can exit one's body: though meditation, through mantra recitation and through rituals. The most proper way of out of body (OOB) method is called the 'yang soul exiting' (出阳神). This can only be done through proper meditation methods. Only when one's soul is purified completely and it is transformed into golden body that his/her soul is able to travel freely in and out of his/her body without any hindrances. Another method of out of body is called the 'yin soul exiting' (出阴神). In this type of OOB, a person's soul can exit his/her body through certain rituals. For example one can use a mirror, incantations, spirits and talismans to travel out of his/her body. In this case, since the person has not purified his soul into golden form; hence his soul is weak and prone to psychic attack. 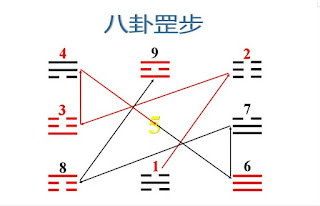 A third method of going OOB is through the use of Big Dipper Steps (七星罡). 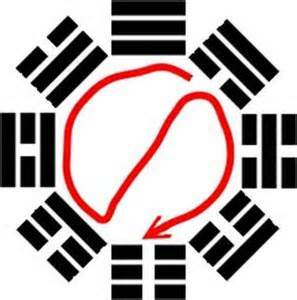 This is the somehow 'restricted' type of OOB as one normally travels out and up to the heaven through the ascending of the Big Dipper to meet with his/her Taoist master for advice and guidance. I have not ventured to use it in any other way but for a more creative you, perhaps you may travel OOB using this method and let me know your experiences. Since I am bound by my oath of not using this Bid Dipper Steps for any other purposes but not you. So you may do as you wish but please remember how you ascend, then the descending should be in a reverse order. My friend Ah Long is a loan shark who stays in a high rise apartment near Penang jetty down town. Since there area is a residential area where majority of the tenants are labourers and hawkers, Ah Long’s business is always good. People who failed to repay their debts are scared of Ah Long because he has many means to squeeze money out of his debtors. I would at time pay Ah Long a visit when he needs some consultations. This is a story about Ah Long’s strange encounter with flying white shirt. This year’s ghost festival is nearing the end. One midnight Ah was sitting in the living room watching ghost movies. His TV is located below the apartment main window and the main window is always opened for one reason: this eases Ah Long to see whoever walk pass his apartment especially those defaulters and potential money borrowers. Although Ah Long is not a timid man, he is a superstitious one; he immediately thought that he has seen a ‘good brother’. Perhaps he has not make offerings this year due to his ‘poor’ business and gambling luck or perhaps he pissed in the street a few nights before after drinking too much in a pub down town. The then panic Ah Long immediately turned his TV volume into burst mode and jumped into his bed and covered his body with blanket until the next day. Soon the news of Ah Long’s encounter with the flying white shirt spread all over the community. At this time, Ah Long already bed ridden suffering fever and at times chill all over. His mother asked a few spirit mediums to perform exorcism ceremonies in Ah Long’s place and according to them Ah Long didn’t make offerings to the good brothers so they ‘show’ themselves to warn Ah Long. So Ah Long need to pay to perform a grand food offering rituals to appease the spirits and that would cost $3,600. After listening to what Mr. Tan has said, I told him not to worry as I would pay his $200 debt with Ah Long. Mr. Tan thanked me and went into his house. After that, I went to see Ah Long and told him that he has offended a headless white shirt sprit and needs $200 to perform the food offering ceremony. Since my offer is cheaper, Ah Long agreed. Before I returned home, I took a detour and visited Mr. Tan to thank him for his candid confession; at the same time also to pass him $200 so that he can pay his debt. Surprising enough, Ah Long recovers after my visit. He is so grateful that he offered me a loan with special interest rate but I only declined with a smile. The mysterious tumour transference method. Tumour transference method is a simple Taoist folk ritual used to remove boils, carbuncles, tumours quite effectively. This method can also be used to remove spirits that possess a person. A factory manger had dangerously high blood pressure and arrhythmia. He was hospitalized five times within two months time for emergency treatment and consequently spent hundred thousand dollars. Yet the cause of his problem remained unknown. After some detailed diagnosis, the doctor told his wife that the manager’s brain has a 1cm tumour but it was virtually impossible to operate. He came to my master and he only treated the manager thrice and the manager subsequently recovered and lived for another 10 years. I have not learnt this ritual though I know the method. In order that this ritual is not lost in time, I share it with you here. The method is pretty simple but it needs to be carried out at night and at a place where trees are growing and not so many people around. First, the patient is asked to be seated and the Taoist only needs to draw the ‘transfer talisman’ with mudra 1 at the place where tumour is located. After this is done, the Taoist should quickly walk to a tree and then use mudra 2 to draw the ‘transfer talisman’ at the tree trunk. For a person who is terminally ill, the tumour can be transferred into a chicken. This will not kill the chicken, instead it will live healthier. Of course, one must be initiated as a Taoist and be connected with his/her lineage gurus before this ritual can be used to cure others effectively. Please don't try it as I just skim through the ritual as I am too lazy to type out the complete ritual. Now days, no one practically learn about incantations or ‘khata’ in Traditional Thai Medicine (TTM) anymore. I think it is not complete to dismiss the spiritual sides of TTM and only goes for the physical treatment aspects. But it is not for me to advocate the use of incantations to general public although I personally use many of the ‘khata’ in treating my own illnesses with excellent results. Instead of giving a list of ‘khata’, let us go over how these ‘khata’ are used. The pulverized herbal formula is then consumed with Citrus Medica (佛手). Orkana mahakana orana maharana jijupengpan paya tiweinasiandhi soha! Of course the TTM is not the only healing school using incantations, the Ayurveda, Taoist cults and Tibetan healing systems etc. also practise one kind of incantation or another. Perhaps we can explore other systems in future. The mysterious Big Dipper in Taoism. For the benefits of those friends who have practiced the Seven Star Steps, I would now disclose how the Seven Stars can be utilized in helping our daily rituals. Below is additional information for your reading pleasure. I have intentionally left out details of altar set ups and the Taoist ‘guru yoga’ for simplicity. Having said so, this may still be quite difficult to read for many people due to the ritualistic nature of the wordings. This star steps is used to chase away and to burn out all evil spirits prior to any Taoist rituals. In performing this star steps, a Taoist should hold a ritual sword in front of his chest and then walk the star steps. In addition, he/she should visualize that the Big Dipper (北斗) is on top of his/her head and that he/she is walking on the Big Dipper. During the star walk, the person should think there is a fire ball at the tip of his/her ritual sword. This fire ball grows bigger for each step this person walks until the fire ball chases away all evil spirits. But let me just hold you at this point as it is enough to chase away the evil spirits and not to kill them. So the visualization should stop just right after the spirits are gone and not letting the sword fire fills the universe! Ideally one should have a Taoist communication tablet (神简). In this exercise one should just imagine that his/her soul is exiting the top of his/her head while walking the seven steps. This is like the soul is climbing a ladder to reach to the heavens where the Taoist immortals are staying. After one’s soul has said what he/she wants, it must descend back into the person’s body. After a Taoist has met with his/her heavenly masters and obtained approvals, he/she shall be able to summon the heavenly generals to help in his/her rituals. In this exercise, the person should again hold his/her ritual sword and walk the seven star steps while commanding these heavenly entities to obey his/her orders. During and after the Taoist rituals, a Taoist must keep his/her meditative concentration. 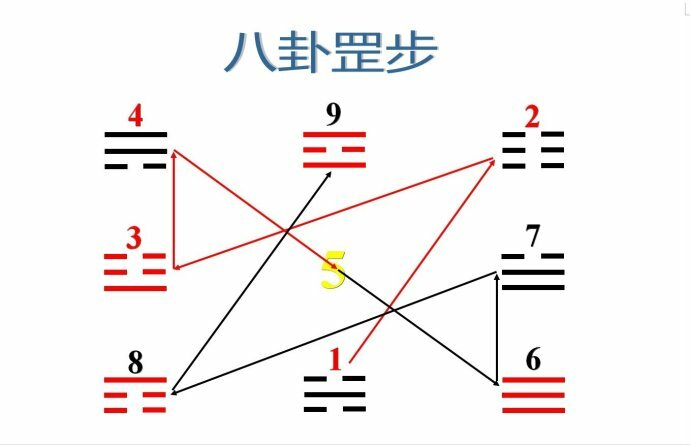 In order to maintain this concentration, he/she should visualize the seven stars is shining brightly on his/her head protecting him/her form disturbance of evil entities. A person’s soul is the weakest when he/she sleeps. So, in order to prevent spiritual disturbances during sleep such as hag ride one should imagine that he/she is blanket by the seven stars. I often practise this ‘sleeping steps’ before I sleep and it is an excellent method to ward off any spiritual interferences. This step is normally used when one meditates same as with the fifth steps. The ‘remembering guru steps’ is an important procedure because a Taoist shall be able to consult his/her guru whenever in need or in emergency. In this step, same as with the ‘ascending steps’, one imagines that he/she has ascended up to heaven and hence accepts advices from the heavenly masters. When one is disturbed during meditation by spirits or black magic, then he/she should first calm his/her mind and imagining that he/she is wearing the seven stars as clothing and remains in meditative mode. All attacks shall be revoked automatically. All of the above are very brief descriptions on how the Seven Star Steps are used in ritual and daily life. Traditionally, Taoist rituals are taught face to face and it is difficult to describe them in detail. I supposed it is sufficient for the moment until next time. Luban magic as we have discussed before is magic learnt by previous artisans and some Feng Shui masters in old days. If we are to compare, then Luban magic should be learnt by civil engineers or the like. Previously I did not have too much information on how Luban magic practitioners are initiated until a few weeks ago an old man from China came to me and passed me some Luban magic books. Amongst the titles are Luban Sutras (鲁班经) and Smallwood Sutra (小木经). The old man said that he doesn’t want to bring these Luban magic rituals to his grave and that he wanted to go peacefully. So, he wanted to pass this burden onto my shoulders… Lucky me! Well, for the knowledge of MagicSEA readers, I shall impart this awful secret just for sharing purposes. It is not recommended anyone to try the star steps or bad consequences may happen to the persons who tried these initiation steps. Traditionally the one who wishes to learn Luban Magic must make a vow and the vow varies according to various Luban traditions. In order that one’s magic works, a disciple must make a vow of: cripple (残), poor (贫) or lonely (孤). In some instances, one of the three elements is replaced with short life (夭). 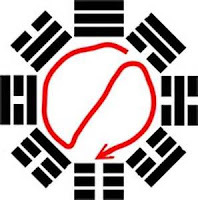 Now, the disciple should face the east and use his sword mudra (剑指) to draw the Chinese characters 立残 (Immediately cripple) on the ground and then steps onto these characters, and then he/she faces the west and draw 立孤 (immediately lonely) and do the same, and the north 立贫 (immediately poor) and finally the south 回原 (return to normal). There are more mantras and steps same as other folk cults such as requesting for magical power and spiritual assistant. For brief, I shall not go into the details at this time. According to the old man, once a person has walked the star steps, he/she is deemed worthy of inheriting all Luban magic in the books he has given to me. I thanked for the old man’s generosity but declined to learn his Luban magic. But I promised him that I shall put his Luban works beside my altar and burn incense daily for as long as I can. Seriously, just a fair word of warning: please don’t practise any of the star steps for I am not sure what will happen to the persons who tried them as I have no idea of the after effects. Arisaema Jacquemonti seedlings 1 month old. 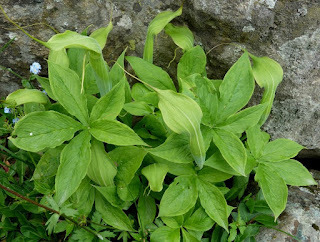 Another interesting plant that has also germinated is the Arisaema Murayi from south-west side of India. Arisaema Murayi can be found at below 1200m level Indian forests. New Arisaema Murayi shoots just emerged yesterday... Nothing much to see at this point. Arisaema Murayi mature plant is one of the most beautiful Arisaema plant known. As a matter of fact, all major religions denounce the practice of magic regardless of how the magic is being used. The reason is simple: although spirits can be used to assist us in certain matters, they are not beings of pure light. These spirits have no reason to help us unless we have a pact with them and make offerings to them in the exchange of their service. If we seek help from these ignorant spirits, then their karma would also affect us. As we also aware that spirits of lower realms carry with them bad karma and the longer they stay with us, then our luck and health would be affected. Religious teaching insisted that since the spirits have their own problems, then how can these problematic spirits assist us in boosting our life? There is no reason why we should resort to magic ritual if our problems can also be tackled with standard religious rituals proper. Unless we want to have something that are not rightfully ours and the things we want is forbidden by religions. In such cases, it is certainly appropriate to use magic to satisfy our worldly lust. So, I say that all magic is black in nature as magic rituals are mainly used to satisfy our desires. In that matter one can find many black magic elements in Mantrayana rituals if one has followed the SEA Translate Blog closely. Proponent calls these magic rituals to achieve worldly desires Kriya Yoga even though those rituals were not really passed down by the Buddha. In Kriya Yoga, black magic rituals are used as a means to learn about Buddha’s dharma for there is no good to talk about dharma if one is worry about his income or that his/her wife/husband is running away. Of course, I would not comment on the question if those rituals are indeed workable because those rituals only reflect local beliefs of that time. Apparent our friend is very sensitive to psychic entities. Anyway, the star walk exercise opens up doors to spiritual realms. Each step of the star walk means that the person enters a spiritual door. So, there are 7 doors to the spiritual world. It is not a surprise to have goose bumps, shivers or seeing spirits during or after the exercise because by performing the star steps; the person has effectively entering and exiting the spiritual world. In the eyes of spirits, this practitioner is merely a stranger who consistently entering and exiting their world. At times, spirits would pass messages to the star walk practitioner in his/her dreams if one has no psychic ability yet. When a message is from spirits that means something in the practitioner’s life is changing. So, please pay some attention to these messages but don’t worry too much about them because as one engages more into the practice, his/her psychic ability would be sharpened and subsequently this person would be able to predict future events in his/her life and avoid them subconsciously. The sevens steps exercise can improve one's luck and prevent disasters. My friend said that he is an accident prone person and that he is very easy to get injured. Apparently he had many accidents over the years and the question is if there is a way to remove this life time curse. In fact, I am also a person who is very much prone to accidents. Out of 50 persons in my class, I was the one who tripped and fall. My car was bumped by others 3 times a year so I continue to use it as what is the point of getting a new car and have it scratched by others? No worries. There is a method to avoid or lessen one’s damage. This method is called the ‘seven steps method’. If one is persistent in practising it constantly then I can guarantee that most of one’s life disasters can be eliminated if not lessened. The seven steps method will increase one’s aura and increase the sharpness of one’s subconscious mind which in turn will automatically hinted a person to stay away from troublesome spots. This exercise is ideally being carried out at night between 7pm to 9pm when the stars can be seen in the sky. Of course, it is best to do the exercise under the sky but this is not necessary. When the time is right, the person should wear loose clothing and start walking the seven steps as shown in the diagram above. When a person starts to walk the steps, his/her hands should make the gesture as if pushing open windows. At times, one can also hold a ritual sword with both hands in front of one’s chest. A sword is normally used when the practitioner feels disturbed by some entities during the star walk exercise. There is no limitation on how many times one should walk the 7 steps. I normally walk 7 to 49 rounds. Of course, the more one performs the steps; the faster one can expel filthy aura from one’s body and indirectly transforms one’s health and luck too. Well, actually there are many rituals out there! But the best is to get rid of rats with dream magic! Below is originally a dream magic meant for fun but it has proven its practicality. According to my Taoist master that if a person’s house is infested by mice, then he/she can transform his/her soul into a cat to chase away all mice. First the person should draw the shape of a cat on a piece of yellow paper and then cut the shape out with scissors. Keep this paper cat in the drawer and wait for an appropriate day known as ‘the removal day’ (除日). When everything is in order and before he/she goes to sleep, the person should hold the paper cat with his/her left/right hand and making the ‘sword mudra’ (剑指) with his/her right hand. After reciting the mantra, the paper cat should be paste at one’s right waist before one sleeps. In this way the person’s soul will turn into cat and chase out any mice in his/her house. If this ritual can be performed regularly, then his/her house will be free from the torment of mice. Do you believe it or not? Many people come to me wanting to learn about magic ritual that can make them rich free and easy. While I can’t guarantee anyone to get rich with magic, but there is a sure way that would make a practitioner to live in easy life the cheap way; a life free from mundane worries at least. If a magician wishes to have an easy life, then he/she can go to a sacred mountain to pray to the mountain spirits. He/she must meditate in the mountain until a vision or a dream hinting where to find a plant to bring home. Once a hint is obtained, then the magician can go to the place with some food offerings and incense to pray before digging out the plant which may be a banana plant near a river, or a type of wild flower. The magician should ideally plant the plant/flower in his/her house compound and take good care of the plant as if his own wife/husband. Everyday he/she should talk to the plant/flower and tell it his/her problems. The plants should be worshipped with incense and food offerings twice a month. If the magician performs the ritual faithfully, then he/she should find that he/she might not get rich; he/she would certainly free from major illnesses and monetary problems. However, it the plant withered; then this would be an indication of bad lucks approaching. In this case, the magician should return to the scared mountain and asks the mountain spirits for assistance. 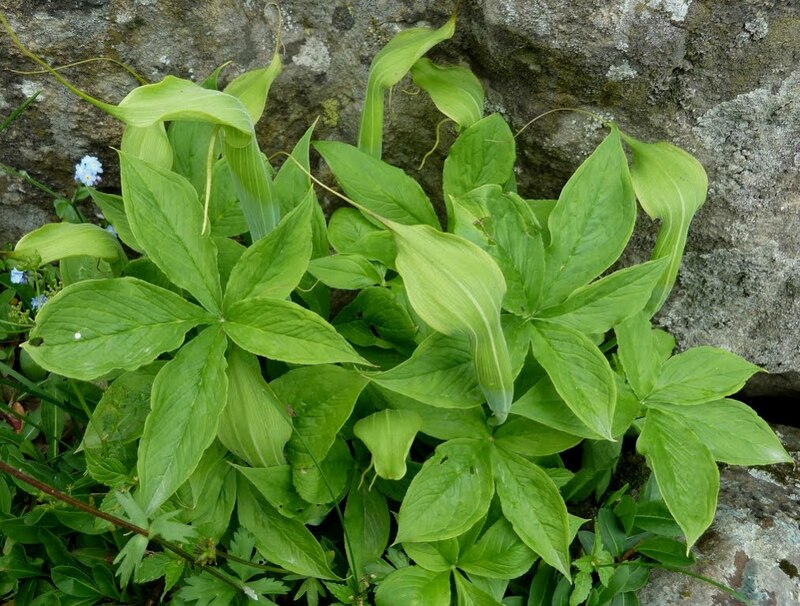 Another way to go about is to get just any ordinary plants such as gingers, lilies etc. and plant the plants on a grave of a recently deceased for about 100 days. Within this period, the magician must go to the grave to water the plant and perform chanting to ask the spirit of the grave to enter the plant. After 100 days, the dead soul should attach onto the plant and ready to be deployed. My friend has problems with his staff and he wanted to kick the person out. So I gave him a haunted plant and his staff automatically resigned within one week’s time. Strangely, the plant suddenly vanished from the friend’s safekeeping before he was declared bankrupt. Strange but true! Of course, this method is not for the faint hearted. Please don’t try if you are not ready to come face to face with spirits. “This morning I read newspaper concerning there is a house in my town which is very haunted, it has mysterious fire meaning that the items in house will catch fire by itself automatically like curtain, windows, doors and chairs etc. When fire brigade came to put out the fire; the more they put the bigger the fire it is. In addition firemen saw a dark shadow and they shouted at it and it subsequently disappeared inside the wall. In Feng Shui fire incidents can be started when the flying stars combined into fire element and that the person has stagnant air such as that of in an enclosed space; then there are high percentages that fire incident will occur. In this case, one only needs to put a pot of soil in the room and a bowl of water. This shall prevent forthcoming fire. Another more scientific explanation is the presence of methane gas emitted from underground. When the flashing point of methane is achieved, then fire shall start automatically. Places such as formerly swamp area, rubbish reclaim area or pig barns would have large quantity of methane gas. When this gas slowly leaked upwards and met with heat, it will burn automatically. When I was studying in Taiping, I like to fish for Tilapia fish at Aulong tin mine lakes nearby. There were many pig barns and the animal manure was being discharged through drains. Every time when I walked by the drains behind pig barns, I can see gas bubbles emitted from the drain water. 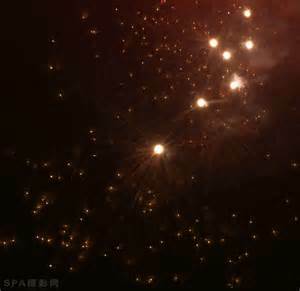 At times when I felt playful, I would light a piece of match and throw towards the bubble. Almost instantly a bluish flame can be seen floating in the air. It was quite amazing now think of it. If we go back to the mysterious fire incident, I doubt that any spirits can start a fire these days although spirits indeed can make our house hold electrical appliances to be short circuited. Fresh herbs are naturally balanced with distinctive properties. For example a fresh ginger rhizome is warm in Chinese medicine; and it belongs to fire and earth elements. However, when ginger rhizome is dried; then the increase in elemental energy would depend on how the ginger rhizome is dried. In Tradition Chinese Medicine (TCM) and Thai medicine, if ginger rhizome is wind or sun dried; then it carries more heat energy. In this case, dried ginger should not be given to patient who is ‘hot based’ as that would cause the hot based person to experience fever. Of course, ginger is not a good example to show the significance of how fresh herbs and dried herbs are used. Traditionally, fresh herbs are used in treating fresh injuries, animal and insect bites because they carry moisture and those fresh herbs have more cooling effect. Also, fresh herbs can be used to make medicinal creams and they can also be consumed fresh as vegetables. Dried herbs on the other hand, need to be used in conjunction with other elements such as alcohol, rice wine, vinegar or water so that their essences can be released fully. This is the same case when rosemary is used fresh or dried in western culinary practices. I am sure fresh rosemary leaves would give the taster a refreshing aroma than dried ones. So, care must be taken not only on which herbs to use in treating illnesses; but also on how they are processed. Our forefathers knew this, why shouldn't we? ‘Tenaga Dalam’ (TD) literary refers to ‘internal energy’, i.e. it is a type of exercise once popular in Malay Archipelago that is believed to bestow its practitioners with invulnerability. Basically practices of TD flourished during Indonesian war of independence around 1945 to 1946. I think perhaps local folks need some kind of practices that could bestow invulnerability against the Dutch whom were better armed. This is the same as the Chinese Boxer Rebellion against Christians in the 1890s. If we look further into the Chinese history, Boxer Group (义和团) members practices ‘fists of god’ (神拳) because they believed that this type of cult could bestow them with invulnerability against the western bullets. Same as with Indonesian TD, the Chinese Folk Cults can be subdivided into many schools: Mao Shan (茅山)，Liu Ren (六壬)，Jin Ying (金英) etc. People would confuse these folk cult sects as part of traditional Taoism because these folk cults used names of traditional Taoist deities just like standard Taoist schools. 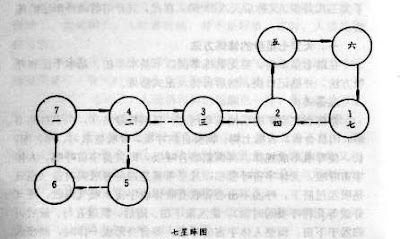 Some scholars try to differentiate both systems as ‘Ceremonial Taoism’ (道教) and ‘Cult Taoism’ (法教). The Ceremonial Taoism as its name implies, performs elaborate Taoist ceremonies and traditionally had the patronage of Chinese imperial families. So, Ceremonial Taoism is normally out of bound to ordinary folks as only royal families and the rich and famous of that time have the money and time to support a whole group of Ceremonial Taoists. Since folks of lower social status needed some kind of spiritual pursues too; Cult Taoism was hence devised. Cult Taoism generally services general folks through simple magic rituals to solve their day to day problems: safety, protection, healing, exorcism, divination etc. A this point, I just want to give you an idea how standard Taoist ritual vs. cult ritual like: a standard Taoist ceremony can last from 3 days to 7 days with many Taoists; a simple Taoist cult ritual only lasts for less than an hour and one Taoist would be sufficient to do the job. In order to enhance the credential of a cult Taoist, patron gods/goddesses are invoked into the Taoist’s body to perform miracle such as walking over fire, climbing up the knife ladders, invulnerability to sharp objects etc. Just same with the TD counterpart, when gods/goddesses possessed a Taoist, he/she would be able to perform dancing or kung fu stances. Whatever cases that may be: all of the above seemingly invulnerability feasts are only meant to show: the god/goddess has indeed possessed the body of the Taoist and it is the god/goddess that has bestowed the power for healing etc. The purpose is of course to gain trust and donation from the spectators. With the emigration of Chinese labourers in the 18th to 19th centuries, these Taoist cults also being transmitted all over the world especially into the Southeast Asia regions. The Jin Ying (金英) sect is said to contain heavy Singapore and Malaysian flavours though traces of other sects could also be found across the region. Having said so, not many people continues to practise cult Taoism and many people has become spirit medium known as ‘Tangki’. Of course, these Taoist cults remain as popular in Taiwan and Hong Kong still.